The Belgian Malinois dog breed is the picture of power and grace. This no-nonsense breed is intelligent, courageous and muscular while maintaining elegance and agility. Belgian Malinois dogs are lively and do well in either an active family environment or as a working dog in obedience, tracking, herding or agility. They should be taken seriously by their owners and do best with experienced dog owners. Their solid build often leads them to be referred to as “square” since their body is almost as long as it is tall. With a proud carriage, these dogs have a deep chest that reaches to the elbow. Short-haired coats that are fawn to red or mahogany featuring black tips, masks and ears are typical to the Belgian Malinois breed. They have a thick undercoat and fur that is longer around their neck, making a collar-like appearance. Some dogs will have white fur on their feet or chest as well. Their alert nature is evident in their small, dark, almond-shaped eyes that sport a questioning expression. Belgian Malinois make devoted dogs who are both powerful and beautiful. Belgian Malinois puppies and dogs thrive on loving companionship. They are one of four Belgian Sheepdogs and excel at working or competition obedience. While they make wonderful police and guard dogs, they are also excellent pets. Belgian Malinois puppies and dogs get along well with children but can be quite dominant toward other dogs. They should be socialized at an early age by owners and breeders alike. These dogs are very smart and obedient and have strong protective and territorial instincts. They are known to be serious and watchful but some may be very shy or sensitive. They do best with an experienced master who can provide firm – not harsh – training and early socialization. Belgian Malinois puppies and dogs need to be part of the family and should never be locked up in a kennel. They have ample amounts of energy and require a job to do. These dogs will be ever-watchful, alert and loyal members of the family. With correct and early socialization, Belgian Malinois puppies and dogs won’t present any problems with cats and other pets. Definitely needing an experienced owner, this breed is made up of very demanding dogs. Belgian Malinois puppies and dogs are light and constant shedders who will shed heavily twice a year. They have long, straight and abundantly thick coats that require regular brushing with a firm bristle brush. 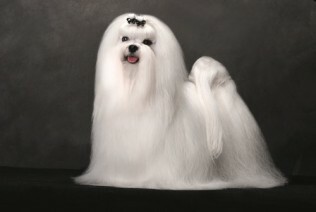 This breed should only be bathed when absolutely necessary since this removes the waterproofing of the coat. Belgian Malinois puppies and dogs do not suffer from many hereditary diseases. Problems with epilepsy as well as hip or elbow dysplasia should be considered and checked out. Other health problems with this breed include caner, thyroid problems, anesthesia sensitivity, PRA (Progressive Retinal Atrophy) and eye problems. As working dogs, this breed requires lots of exercise. When possible, Belgian Malinois dogs should be exercised off leash often. To prevent the development of a sharp temper and to discourage aggression, Belgian Malinios puppies and dogs should be trained early.